There are many paths to discovering the nature of our universe. Established members of the Electric Universe–Dave Talbott, Wal Thornhill, Don Scott, Ev Cochrane and Dwardu Cardona–have been focusing on different aspects of the nature of the world that surrounds us, and yet what they have to offer interconnects in an intriguing way. Those interested in the EU who specializes in the areas of planetary history, mythology, electricity, plasma, geology, archeology, and prehistoric man, often have hypotheses that interconnect and support each other, thus suggesting a history and a present day understanding of our universe that is revolutionary and compelling. A fascination with the universe that surrounds us dates back to an age long before there were telescopes, space probes, or shuttle missions, when prehistoric man cast his eyes to the heavens. Pictographs of a great diversity of early cultures independently depict man’s fascination with and fear of what he observed. Myths and lore tell of strange and violent events – terrifying dramas in the heavens and catastrophic changes in the cosmic order itself. Early man built temples to the heavenly figures that he worshiped as gods. The myths and pictographs of antiquity clearly show that, at one time, our eyes saw a vastly different sky from the one astronomers view in their instruments today. As Wal Thornhill has stated, today’s narrowly compartmentalized specialists have a form of tunnel vision because they are not trained to see any relevance of other fields than their own, or merely refer to observations no more than a few years old. Don Scott has observed that most astrophysicists education stopped with Einsteinian gravity and have little or no knowledge of electrical science, and thus come up with convoluted explanations for phenomena they don’t understand i.e. 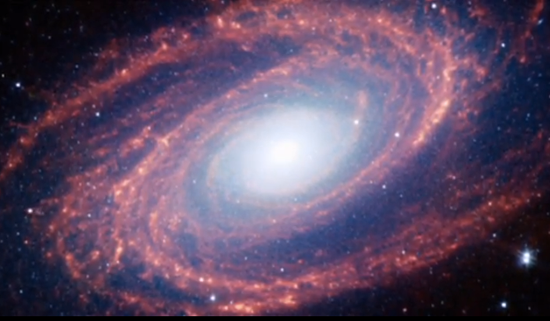 : Black Holes, Dark Energy, String Theory and the Big Bang. At one of our EU conferences, Pierre-Marie Robitaille presented impressive fundamental scientific evidence that one of the favorite, universally applied, principles of astrophysics is not as generally valid as has been assumed. Kirchhoff’s law of radiation, together with Max Planck’s derivation of it, are often assumed to be applicable in just about any case even when they really are not. The idea that a peak in the emissivity characteristic from anybody whatsoever will reveal the exact temperature of that object, no matter what its composition, is fundamentally flawed. Pierre-Marie Robitaille and Steven Crothers, an expert mathematician, have published a ground-breaking paper, “The Theory of Heat Radiation Revisited.” Pierre-Marie has given numerous presentations pointing out that many previously accepted research results are fatally flawed. Their work, as with so many other EU researchers, has been met by the establishment with denial and derision, or been ignored. Ev Cochrane, author of the book, The Many Faces of Venus, observes that the recent history of the scientific investigation of Venus reveals a vast theoretical graveyard of discarded hypotheses, false deductions, erroneous premises, shoddy observations, and wishful thinking. While many astronomers, Carl Sagan among them, expected the Venusian clouds to be composed of water, Mariner 9 found precious little water and plenty of concentrated sulfuric acid. Cochrane notes that, where leading astronomers “observed” luxuriant Venusian vegetation in full bloom, modern space probes discovered a barren, desiccated wasteland. Indeed, if the truth be known, the Mariner, Magellan, and Pioneer missions have forced astronomers to radically revise their previous assessments as to Venus’ origin, nature, and geological history. Cochrane states that, on virtually every major feature of the Venusian landscape and atmosphere, the astronomers’ theoretical expectations have been proven wrong time and again. Given this dismal track record, there would appear to be some justification for maintaining a healthy skepticism with respect to astronomers’ current “best guesses” as to what is possible regarding Venus’ recent history; or possibly that of other planets as well. Indeed, there are good reasons for believing that other—even more radical— revisions in our understanding of Venus are in order. Many traditional astronomers and mythologists dismiss early stories and drawings as the fantasies of primitive cultures lacking an understanding of what they saw. However, comparative mythologists David Talbott, Ev Cochrane, and Dwardu Cardona have found that there is a consistent pattern in these stories. When many different, widely separated cultures tell the same story, the probability exists that these are not mere flights of fancy, but valid observations. If the astronomers of today were to re-examine their assumptions about what is and is not possible in the cosmos and take a new and unbiased look at the pictures coming back from NASA’s probes as well as the images from their own telescopes they would find strong evidence to support a view of cosmology different from the one espoused by mainstream astronomers – one that ancient man saw all too clearly. Dave Talbott notes that, in earlier times man worshiped heavenly bodies as gods. Myths proclaim, “We once lived in the presence of the gods.” These gods were visible powers, often capricious, and frequently violent. The priestly astronomers of ancient Mesopotamia and elsewhere made clear that these remarkable powers were planets. If the myths surrounding these gods are to be taken seriously, they raise many questions. Why did ancient man worship the god Saturn? The planet Saturn is very difficult for the average person to even find in the sky today. Some mythologists postulate that there is evidence in ancient lore to connect the scarred warrior hero of legend with the god Mars. Yet the planet we know as Mars is only a tiny speck in the sky today; and its deep, 2,400 mile-long canyon (scar), Valles Marineris, cannot be seen from Earth without a powerful telescope. Why did the ancients depict Venus as a fiery dragon or a goddess with flowing hair, when that planet is merely a bright dot in the sky today? The myths of many of the ancients tell of violent thunderbolt interaction between the gods. Of course, we see lightning on earth today, but never “thunderbolts” that streak between planets. What could have caused these violent interactions long ago? Because of their understanding of plasma, electrified gas that makes up over 90% of our universe, Wal Thornhill and Don Scott have formulated some reasonable hypotheses as to the cause of such violent interactions in the past. Relating to the present electric sky, Scott has studied the behavior of plasma in the form of Birkeland Currents and spoke at the last two EU conferences about their counter rotating currents that are descending onto the north pole of Saturn. Shortly after he showed diagrams of his hypotheses of these rotating Birkeland Currents, a video produced by NASA appeared on the internet clearly showing exactly what Scott had predicted, yet his proposal of just such a thing and the reason for it has been ignored. 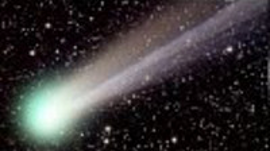 Another hypothesis and the reason for it that proved to be real was Thornhill’s prophesy that, if a comet were to be impacted by a block of copper as NASA announced it proposed to do, a powerful electrical discharge would occur shortly before impact. Although NASA never predicted such a possibility, this is exactly what happened. Since that event, Thornhill’s explanation of the electrical discharge has been either ignored or denigrated, most likely because those in the astrophysical world have developed a collective mindset against any sort of electrical causality in the cosmos. An excellent resource for information about the Electric Universe is the web site Thunderbolts Picture of the Day, managed by the industrious EU scholar, Stephen Smith. Prehistoric man was also fascinated by our universe as are Scott and Thornhill today, but often what ancients chose to depict has little bearing on what we see in the cosmos. Talbott notes that pictographs show what is commonly considered to be the sun as a huge disc with a smaller one in the center, often with rays flowing out of it, with a third darker circle superimposed in the center. Our sun looks nothing like that. In many different cultures we see the symbol of a crescent with a star at its center. How could this be when there is no star or planet closer to earth than our moon to form such a configuration? And most importantly, why do so many disparate and far flung ancient cultures, peoples who could never have been in contact with one another, such as the Sumerians, Egyptians, Chinese, Native American Indians, Mayans, Babylonians, Australian Aboriginals, and many others, all tell the same story and draw similar pictures. If these ancient writings were based on valid observations rather than fantasy, what do they tell us? Cardona, Cochrane and Talbott theorize that Earth formerly moved in a linear alignment of planets having no resemblance to our current solar system. As seen from Earth, several planets appeared together as towering forms in the northern sky. In its stable phase, the planets moved in “collinear” equilibrium – they stayed in a line as the system moved through space. For observers on earth, the result was a unified configuration in the heavens, visually dominated by a large glowing planet, one we theorize to have been Saturn (then seen without its present ring system.) This highly unusual planetary assembly was centered on our north celestial pole. It was regarded around the world as the cosmic center, the theater of the gods. Talbott offers that this can only mean that the axis of Earth was directed along a line running through the collinear system. When the earliest religious texts and mythical sources are permitted to speak for themselves, this is precisely the arrangement they describe. What the ancients were seeing when they depicted the Sun as three concentric discs was a different alignment of planets from what we see in the sky today. They suggest that at one time Earth was in a polar alignment – an alignment Talbott, Cochrane and Cardona theorize as having been with Saturn, Venus and Mars – the large outer disc in the pictographs being Saturn, the next inner disc representing Venus (often with rays emanating from it) and the center dark or red disc being Mars. The view of a crescent with a star-like body at its center is impossible if our moon were the crescent. 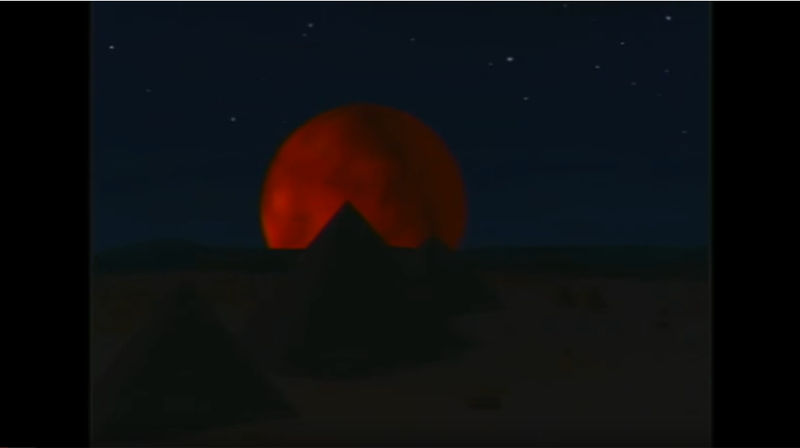 However, it would indeed be the scene viewed from Earth in its polar alignment if the crescent were Saturn, somewhat illuminated by the Sun, and the star-like object, Mars superimposed upon Venus. Interdisciplinary physicist Wal Thornhill ventures that, at one time, Earth may have been within the protective aura of a cool brown dwarf star, the proto-Saturn, which provided an ideal atmosphere for life on Earth. Given this configuration, Earth would have been bathed in Saturn’s constant beneficent glow with no difference between day and night and a continual benign single season. This would have been the time “before time” that Dave Talbott theorizes was the “Golden Age,” “Age of Perfect Virtue,” or “Garden of Eden,” depicted in one way or another in all diverse myths and religions. Our early forebears portrayed celestial events through ritual reenactment and storytelling, bringing the original celestial personalities down to earth to become legendary “ancestors” of those telling the stories. By this identification with the gods, nations the world over became the special children of the mythic creator, and the creator himself often metamorphosed into a legendary first king of the land. Sacred activity was enacted the world over, as humans relived cosmic events on earth. Two primal motives stand out: nostalgia for the lost paradise of the Golden Age and a profound fear of Doomsday’s return, fueling collective war, sacrifice, and guilt. A group of astronomers, physicists, electrical engineers, and experts in the field of ancient mythology have begun to challenge some of the generally accepted hypotheses of the history of our solar system and conventional theories of cosmology and agree that our solar system has had a catastrophic past. A common theme in the myths and religions of many distantly separated cultures is of a Doomsday that brought the Golden Age to an end. Could it be that a disturbance in the Saturn polar alignment was the Doomsday these cultures each independently remembered? The exact cause of the eventual breakup of the polar alignment is a mystery. It may have been the result of a close pass-by of an asteroid or comet. Perhaps an inherent instability of the alignment resulted in its natural dissolution. Whatever the cause of the breakup, we know the final result is what we see today – the placid, almost circular, well separated orbits of our present solar system. Dwardu Cardona hypothesizes that what became known as the “Creation” did not proceed out of nothing, but out of a pre-existing chaotic substance that was, among other things, understood as a celestial ocean circumscribing the sub-brown dwarf star that emitted the radiating light that went down into mytho-history as Day One. Many skeptics say that there is no mechanism that could have circularized the wildly divergent paths of the planets that were ejected from the polar configuration. Electrical Engineer, Donald Scott, points out that plasma physics shows us that planets can interact electrically if they are within each other’s protective plasma sheaths (magnetospheres.) Electrical repulsion that is alternatively felt (when planets’ plasma sheaths intersect) and then not felt (when the sheaths do not intersect) could circularize orbits relatively quickly. In addition there is strong evidence that gravity and mass itself is dependent on electrical charge. Another question that relates to the enigma of how Earth is different today from ancient times is the size of the giant dinosaurs. Given what we now know about mass to muscle ratio, there is no way those huge beasts could have held their heads up, much less walked, in the gravity that we have at present. Could a different planetary arrangement and/or electrical charge on Earth have provided the decreased gravity that allowed these giants to stand up and walk? Although there are questions about the Earth’s gravity at the time of the dinosaurs, it is widely acknowledged that their rapid demise was caused by a catastrophe. Somehow, our gravity and our environment have changed, probably abruptly, and perhaps repeatedly. It is well known that there is a universal memory of Doomsday type catastrophes from age-old tales of floods, fearsome thunderbolts in the sky, and an age of darkness that descended upon the earth. The question is, how did these catastrophes come about? Certainly for the planets to change their alignments and gravity, cataclysms of gigantic proportions must have occurred. Islands in the arctic that consist more of shattered bones than of earth, ancient cities submerged in the oceans, seashell fossils on mountain tops, and behemoths found flash frozen in the arctic with palm fronds in their stomachs, are evidence of such violent events. Arcing and electrical scarring are strong indications of past cataclysmic events in the solar system. Wal Thornhill proposes that the Valles Marineris scars on Mars may well have been made by an electrical discharge, and that the Grand Canyon in Arizona could have been formed in the same manner. The origin of the Grand Canyon has long been in controversy, and geologists are presently rethinking their long-held theories in this area. Those in the EU ask: if the canyon were caused by a river, where is the delta (the debris) and why are the so-called tributaries perpendicular rather than at an angle as is typical of river tributaries? From the air, the Grand Canyon resembles a Lichtenberg Pattern – a pattern that is carved in a golf green when the pole is hit by lightning. Thornhill points out in his work, The Electric Universe, that plasma pervades the solar system and arcing will occur when and if charged bodies interact electrically. He proposes that it is just such arcing that has caused craters on the planets, asteroids and moons – even on Earth. He postulates that pictures of craters coming back from our space probes do not show a shape consistent with either the impact or volcanic models. Almost every crater we observe is round and not elliptical as many of them would be if made by meteors coming in at an angle. They have flat bottoms often with conical central cones. The strata of the central peaks are undisturbed in many so-called impact craters, and their walls are terraced. Secondary craters form on the rims of primary craters. Plasma physicist, Dr. C. J. Ransom has simulated such creators in his Vemasat laboratory via an electrical arc. 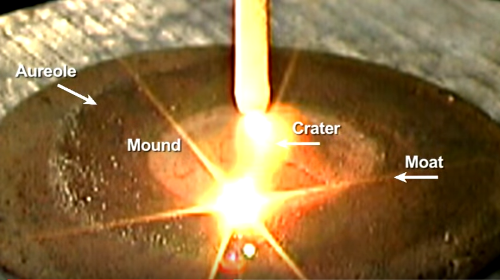 Thornhill has demonstrated in the laboratory that such characteristics are expected with electrical arcing, but not with impacts. On some small asteroids the craters are huge, with diameters more than the asteroids’ radii. If these craters had been caused by impacts, surely the asteroids would have been destroyed. Are these craters caused by electrical arcing – the phenomenon that was interpreted as the “thunderbolts” that raged between the gods (planets) as described in ancient myths? A corollary to Thornhill’s Electric Universe is a theory that engineer Ralph Juergens originated concerning the mechanism that powers the Sun. Following in Juergen’s path, Donald Scott contends that present mainstream astronomy is attempting to ignore the data that contradicts their accepted “nuclear fusion” model. 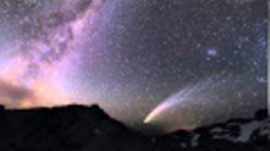 He suggests that both the Polar Configuration and the Electric Universe hypothesis are strongly supported by research in the field of plasma science. Scott’s carefully crafted mathematical model of a Birkeland Current shows how energy in electrical form is transported across huge distances in cosmic space without being dissipated and diverted from its path. Scott was the first person to demonstrate that the magnetic field within a Birkeland current reaches outward and remains effective at far greater distances than any other type of known cosmic phenomenon. He has explained the physical rational for why the orbital distances of the planets from the Sun correlate perfectly with certain properties of his Birkeland Current model. Might the flowing hair of Venus, or the “fiery dragon” (as that planet is depicted in many ancient myths and drawings) actually have been the glowing ions of twisting Birkeland currents (or “stringy things” as mainstream astronomers call them)? 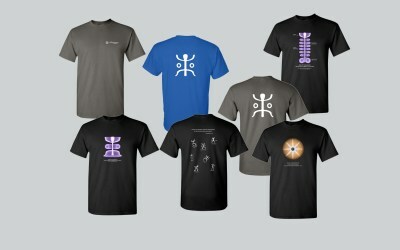 Petroglyphs showing ladder formations and tales of a “Ladder to Heaven” or Jacob’s Ladder might well be based on sightings of Birkeland currents and plasma instabilities such as those Tony Peratt saw in his plasma laboratories at Los Alamos. It is interesting to note how often a sphere (planet?) is included in pictures of the Chinese dragon. Astro-photographs taken at Mt. Palomar and Mt. Wilson by astronomer Halton Arp have removed one of the main linchpins supporting standard modern cosmology. Astronomers traditionally assume that, if an object, such as a galaxy, strongly exhibits a quality called “positive redshift”, then that object must be 1) receding rapidly away from us and 2) very distant. This assumption has led astronomers to pronounce the existence of such counter-intuitive notions as the Big Bang, missing matter, black holes, neutron stars, dark energy, and expanding curved space. Dozens of Arp’s photographs provide strong evidence that the “redshift equals distance” assumption is wrong. Arp theorized, based not only on his own photographs but also on images being taken by X-ray satellite telescopes such as Rosat, that there is an evolutionary process of galaxy birth and maturation. Young objects are born from the active nuclei (AGN’s) of parent galaxies. These youngsters are called quasars QSOs or BL Lac objects. They are often ejected symmetrically from the parent galaxy along its semi-major axis (perpendicular to the plane of the parent.) This ejection process is strongly supported by the Electric/Plasma Universe theory of Thornhill, Scott, and Peratt. The thread that connects all these innovative researchers is their willingness to base their hypotheses on the data they observe and change these hypotheses as new data is received. Too often conventional scientists stop asking questions and try to adjust new incoming data to their preconceived (and accepted) theories. The Electric Universe proponents, representing a variety of disciplines, are aware of how vastly different fields that date back to the earliest of time can intertwine and thus discover rational new hypothesis about our universe. The most important element in the search for truth is the asking of questions. The advocates of the Saturn Model/Polar Configuration and the Electric Universe are asking fundamental questions based upon what they have observed on the paths of discovery they have taken and, as a result, have proposed some reasonable hypotheses. All they ask now is that they be listened to and that the listeners open their eyes and their minds to the possibility of new paths to the discovery of some very reasonable ideas. Annis Scott presented this paper at the opening session of EU2015 in Phoenix, Arizona. 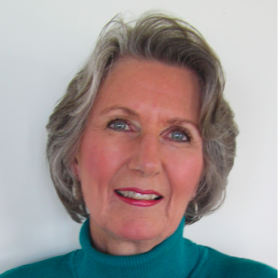 She has been a professional writer since 1971, having freelance and assigned pieces published in Cruising World and Yachting Magazines and the Hampshire Gazette newspaper serving western Massachusetts. In 1983, while her husband Don was a guest professor at the University of Puerto Rico in Mayaguez, she was hired by the Marine Biology Department there to write 17 articles for its scientific journal. Since moving to Arizona in 1998, she has devoted much of her time to editing, working with writers on a variety of books and articles. Annis helped her husband Don write his seminal book, The Electric Sky: A Challenge to the Myths of Modern Astronomy. For a time she was the editor of ImagesAZ magazine and has written articles for that publication as well as the Arizona Republic newspaper and artZbeat magazine.